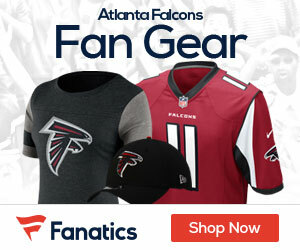 The Atlanta Falcons have a new attitude, as well as a new look – by physical and run the ball. Today vs the Kansas City Chiefs at the Georgia Dome, that new attitude was in full effect, as the Falcons laid a whoopin on the Chiefs, beating them soundly 38-14. Let’s not forget the Falcons defense, which forced KC QB Tyler Thigpen into three interceptions, and held the Chiefs to just two TD’s. Atlanta fan for 186 yards, with Michael Turner again coming to life with 23 rushes for 104 yards and three TD’s. Jerious Norwood also had a big day with a 44-yard run and ended the afternoon with 75 yards on 11 carries. Matt Ryan was again solid as he went 12-for-18 with 192 yards and one TD and a QB rating of 120.6. The Chiefs, now 0-3, were no match with Thigpen going 14-for-36 for 128 yards and one TD and three picks and a QB rating of 23.8. The bright spot in the offense was Larry Johnson, who rushed for 121 yards on 24 carries and a score. He had a long run of 48 yards. The Chiefs found themselves down 24-0 in the second quarter before they got within 10 at 24-14 in the third. Then Turner scored on a 2-yard run and Chis Houston returned a pick 10 yards to put the game away. Ryan also had a big play in the passing game, as he found Roddy White for a 70-yard score that made it 14-0 in the second quarter. The Falcons next week travel to Carolina to play the 2-1 Panthers. The Chiefs are at home for the Broncos.